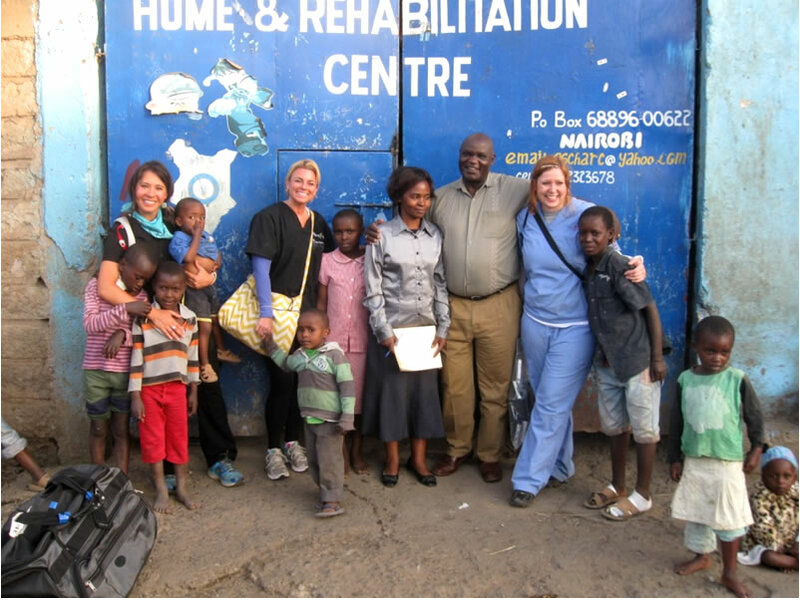 I am returning to the Good Samaritan Children`s Home for orphaned and abandoned children in Mathare, a densely populated informal settlement just outside the city center of Nairobi, Kenya. It has been almost two years since I had been there. On my last visit as we turned off the busy main highway going down into the slums, the road was a rocky path, muddy and rutted, with everyone walking in the road and men pulling handcarts loaded with furniture, produce or other goods. Vendors crowded on all sides tending small businesses, selling tomatoes, roasted corn, shoes, plastic bowls, metal pots and pans and other items needed by the hundreds of thousands of residents crowded into this small area. On the edge of the road the informal sellers spread their wares on the ground. The more established shops, including a butchery, hair dressing salon, a bar, a phone card kiosk and a food vendor, worked out of small tin sheds just off the path behind them. This colorful community still buzzes with activity and small-scale enterprises. It is just as crowded and noisy. However, there is one obvious difference. In a city initiative to improve the slums, the bumpy uneven road is now neatly paved with concrete. The open sewer that ran in front of Good Samaritan is finally covered. The road is higher than before and two steps lead down into Good Samaritan. As we arrive the children�s home is, as always, very noisy and filled with activity from the ground level where children sit along the side of the building waiting for lunch to the workmen constructing walls on the third floor. The children are everywhere on both sides of the narrow walkway between the old blue tin and wooden structure held up with steel beams and the grey concrete block building, which is emerging on the other side just a few feet away. Looking up between the two buildings I see a bit of sky and banners of just-washed clothes hanging on the railings and waving from rows of makeshift lines. Baby clothes, jeans, sweaters, dresses and a mass of assorted clothing drip on the ground below. There are now two floors completed in the concrete building. The open area and playground that was bordered for many years by the unfinished walls is covered and built up to provide more rooms for sleeping. In the future the classrooms for pre-primary students will be in the old blue building and more of the children will reside in the newer structure. As many as 70 kids now sleep in one room with several children in each of the bunk beds. The much-needed additional space will be welcomed by all. There are more than 400 kids here during this time. 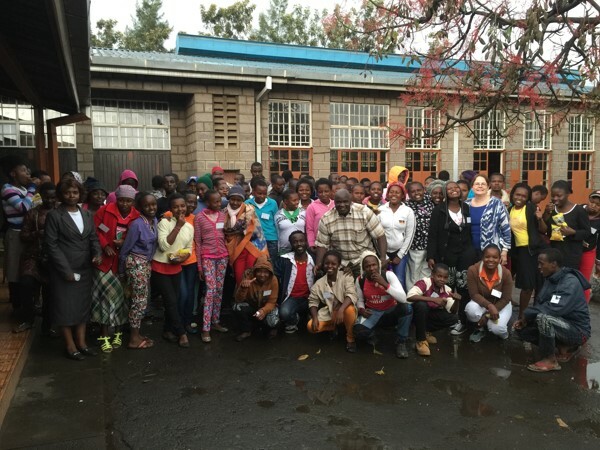 The 55 secondary students with ACOHF scholarships at Rubate High School as well as other secondary students from Good Samaritan are back in Mathare during school break. The high school students join with some of the other children to make chapati bread, a special treat, and help serve the food from large plastic dishpans filled with rice, cabbage and beans. We help to support a cook for Good Samaritan and provide some food but the challenge of feeding all the children and maintaining adequate nutrition is always a concern. Today some visitors have come from a local college for community service and the children are singing a gospel song for them. Mama Mercy, the founder and director of the center, leads the singing raising her hands to the sky in praise. Faith is an important part of life at Good Samaritan. This is a source of strength and survival in a difficult environment where most people have little or no resources and limited opportunities for breaking the cycle of poverty. Every time I come to Good Samaritan I am renewed by the beautiful faces of the children showing their strength and resilience, and the faith and commitment of Mercy and the staff. I am energized to continue to do whatever we can to help improve the life and future for these young people. Mercy often says, �Education is the most important thing. Education is the way out of the slums.� At Africa Circle of Hope this is our goal and our continuing focus. As we get back into the van to leave Good Samaritan the children are all around us, watching and shouting. 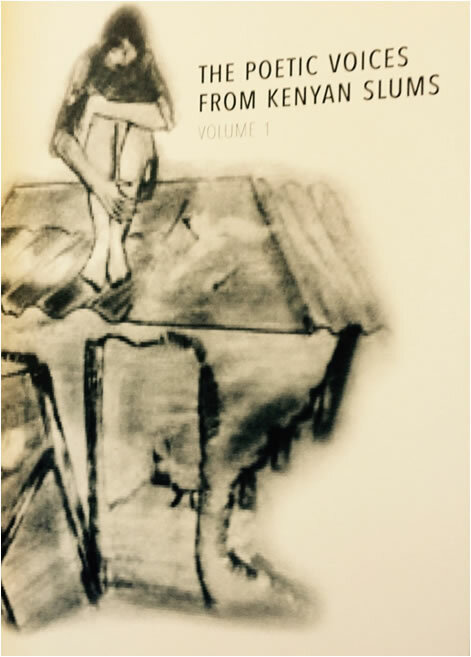 I am reminded of the first time I came to Kenya in 2002 and the face of an orphaned child who pleaded, �Remember me.� I will never forget the children. We are all connected. I am grateful to be back in Mathare. 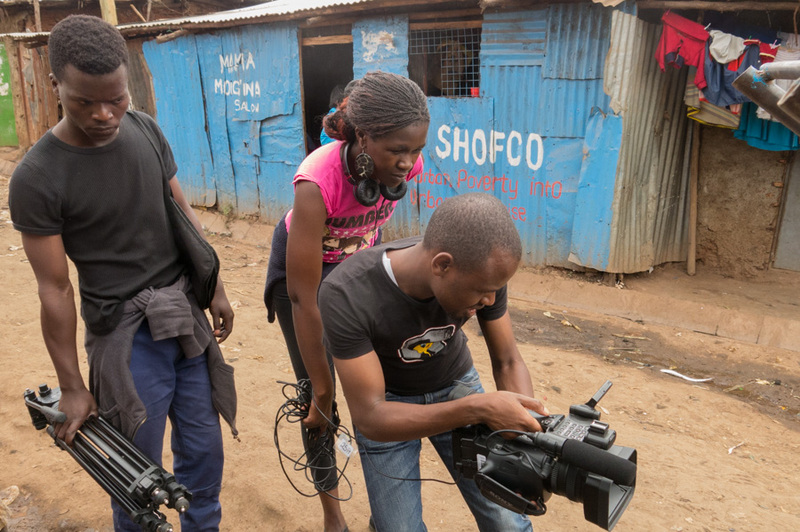 Africa Circle of Hope is one of the sponsors for a two-week filmmaking workshop from May 30 -June 11, 2016, for youth from a high school for AIDS orphans in the Nairobi slums. Other sponsors include Loyola University Chicago, Catholic University of Eastern Africa and Tangaza College in Nairobi. The "Film for Good" Workshop will be led by Aaron Greer, Director of Film and Digital Media in the School of Communication at Loyola. 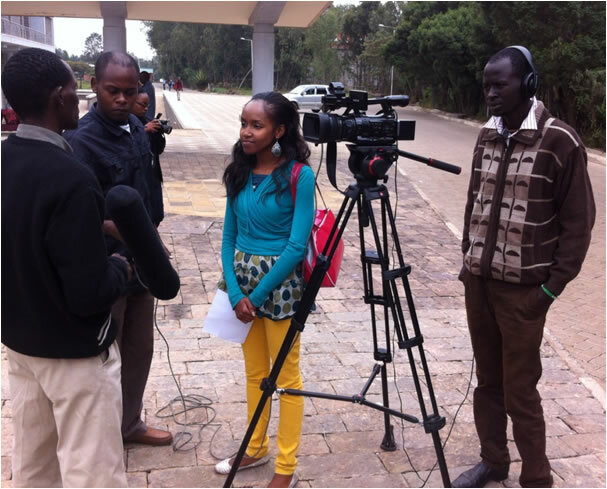 Recent high school graduates will learn basic skills of idea development, screenwriting, equipment operation, videography and editing. Participants work in teams to create a short film that reflects their life experience, creative ideas or perspectives on issues in their community. A public celebration and screening of the films highlights this event. A support network with online resources, media facilities and mentoring will help the students practice communication and media skills and explore career opportunities. 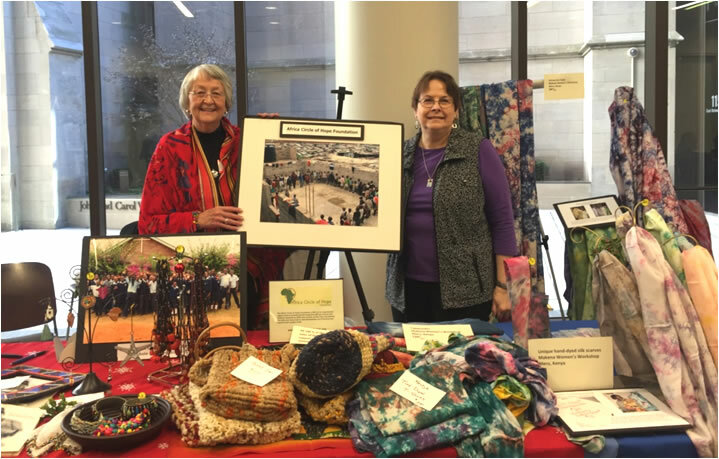 Africa Circle of Hope co-founders, Sally Christiansen and Patricia Kay Felkins participated in the Fair Trade Holiday Bazaar at Fourth Presbyterian Church in Chicago on Dec. 5 and 6, 2015. 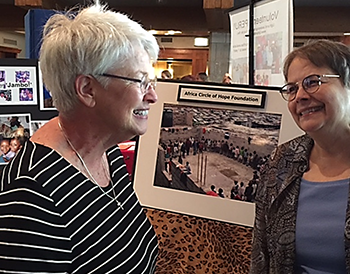 They talked about the mission of ACOHF and provided information about programs for women and children in Kenya. Many of the hand-crafted products for sale were made by the women of the Makena Textile Workshop in Meru, Kenya. These items included painted silk ties, colorful silk and cotton scarves, wool bags and purses and one-of-a-kind African art cloth. Sales were increased over last year. All proceeds go to ACOHF education and entrepreneurship programs. Our thanks to Vicky Curtiss, Associate Pastor for Mission at Fourth Church, for her coordination of this annual event.